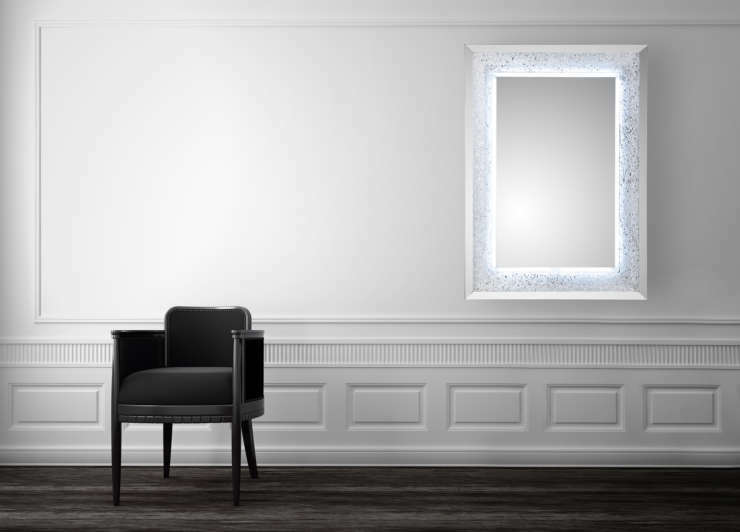 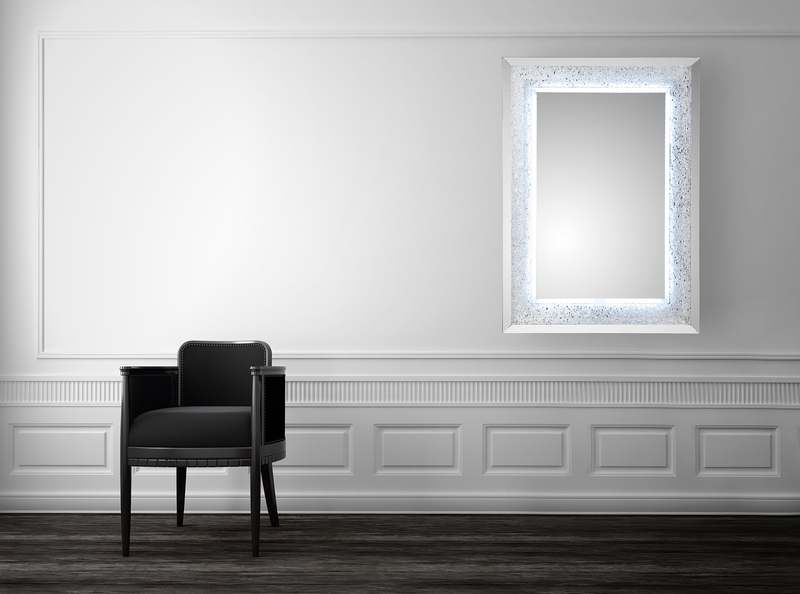 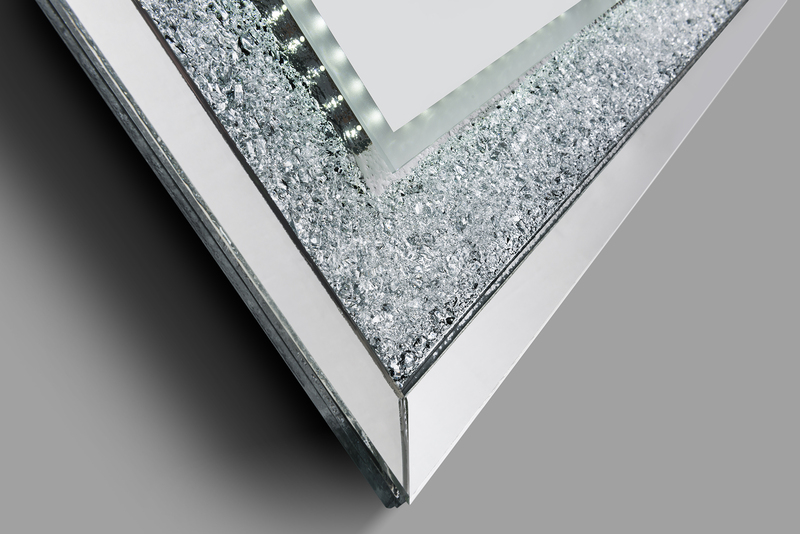 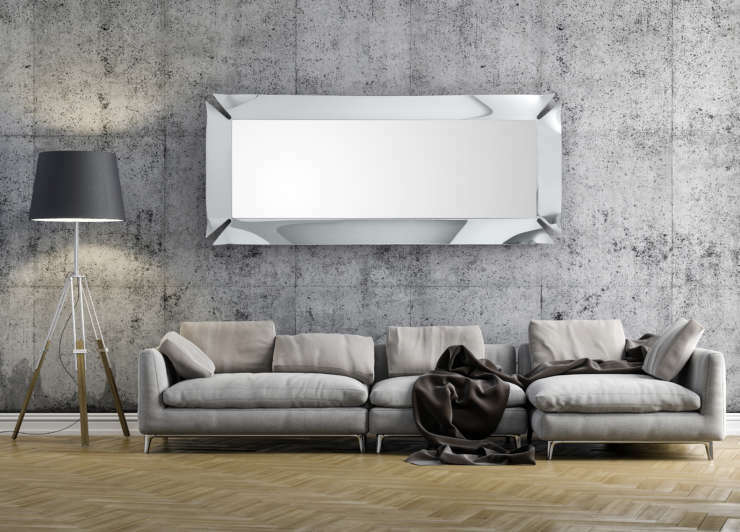 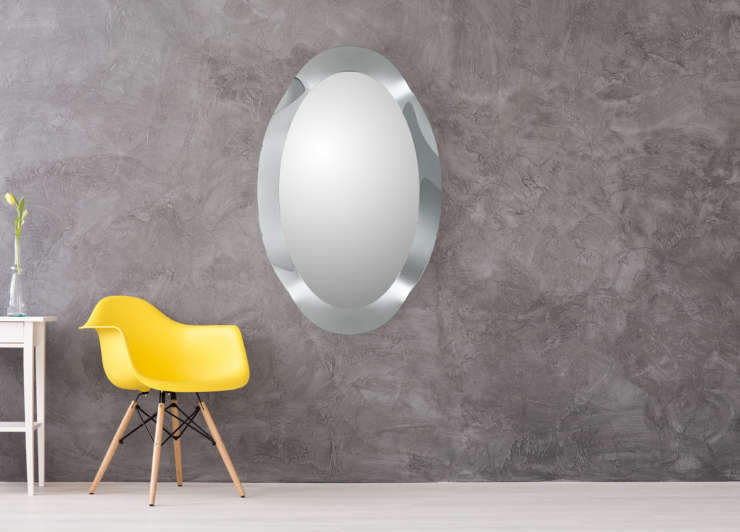 Wall mirror consisting of a fused crystals frame and mirror board. 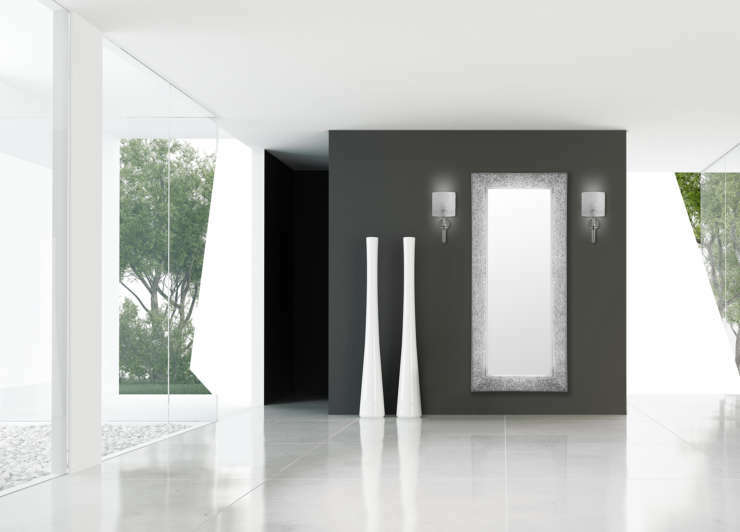 Available in one finish and one rectangular size. 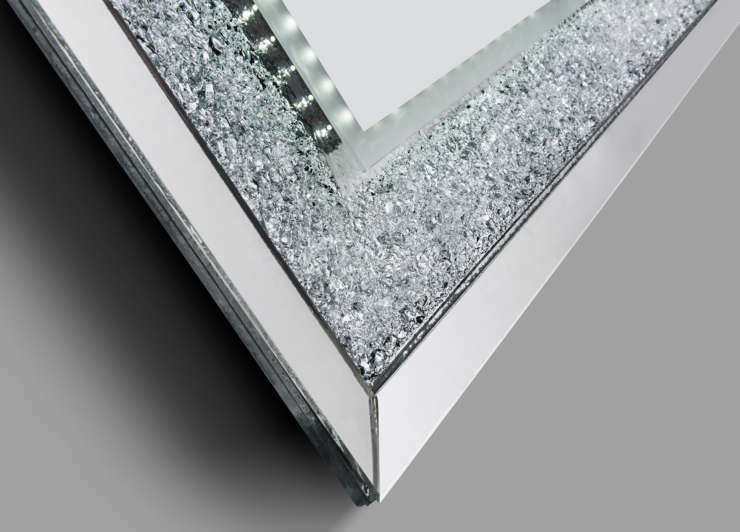 Can come with led.